Well, with my issues with 24/7 brain haze, information not sticking is part of things. Can you please clarify? Are you saying these aren't relevant in any way? … and many other gems that will help you better-understand your own n=1 and advocate for your health! I just filled out the course registration myself, hopefully the worksheet on lab values will be of great use to you. I struggle to figure all this stuff out and also struggle to navigate in the site, this is my first experience on a social media group site...the lay of the land and how it all works can be perplexing to me, I feel your pain in trying to figure all this out. Neurosurgeon Dr. Jack Kruse, MD, discusses how running labs to learn where your body is on the disease spectrum, or biohacking, can help you uncover problematic health patterns like hormonal imbalances, leaky gut, leptin resistance and thyroid disorders. Dr. Kruse also reveals how biohacking can identify areas of focus to help you can reach optimal health. See below and sign up for our free Biohacking 101 eCourse to learn which labs to run, how to begin making sense of the results and some bonus strategies to get health insurance to pay for labs. Your labs provide the “proof” you need to successfully advocate for better care and treatment and provide context so you can do your due diligence to become your own best doctor on the path to optimal. How many times have you tried something that someone represented as the holy grail to wellness, only to discover it didn’t really work for you? Have you changed your diet to the right foods, only to feel frustrated because you’re not losing the weight you wanted to? Have you “tried everything” to help you have more energy, only to feel more exhausted after the effort? Maybe you’ve tried magnesium or iodine loading or special fasts to detoxify. You sometimes feel a little better, but you’re not really getting the results you’re going for: the total alleviation of your symptoms, ENERGY, no disease and optimal health. Figuring out your own n=1 is challenging. While great content and lessons on biology can be helpful to better understanding your own biology, what we all need is the YOU ARE HERE arrow on the map to help us navigate intelligently. 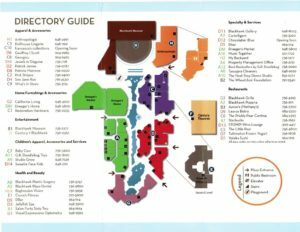 If you walked into a mall you had never been in before, chances are the first thing you’d look for is the mall’s directory to help you orient yourself to what is available for shopping. But the list of stores and their layout can only take you so far. What you really need is the “YOU ARE HERE” arrow to help you understand where you’re at in relation to all the shopping goodness. Without that arrow, it’s hard to figure out how to get to specific stores, where you’re at in relation to the mall’s configuration, etc. When it’s hard to get around, you’re FRUSTRATED. You might end up wasting money, too. And when time is up, you may not get what you came to the mall for in the first place. This is where labwork comes in. And not just any labwork; you need to run the right labs and understand how to use the data they share with you. Smart biohacking will help you cut to the chase and save time, money, energy, frustration and EFFORT to help you create your breakthroughs faster and easier. If you have been resisting getting your labs done (or biohacking, as it’s commonly called) because of fear, money or inconvenience, or if the process just seems intimidating, we want to help you get started! If you’ve started biohacking and aren’t quite getting the clarity that you need to tackle your n=1, we’ve got some great insight for you. And if you’re an experienced biohacker, we’re gonna help you raise your game! This course won't help this particular question I am sorry to say. So then, what will help my particular question? I didn't bother with any labwork before being in a solid, better environment. I relocated to Mexico for now, I've been here for 11+ weeks. I understood that any prior labwork isn't very significant because it can change with a new environment. Here I am, in the new environment of Mexico, yucatan peninsula (which is the spot recommended for optimal healing) and haven't felt any improvement...Again, brain haze being one of the major issues...These labs are some of the basic labs usually recommended to assess redox, thyroid, etc. I'm clearly committed and I'm in this for the right reasons. I'm nomad now, here in Mexico and did these labs to collect information AFTER being in this environment for some time. I'm sure there is some pertinent info here. Are you saying that there's nothing to gather/deduce from these results? Thanks. Stop doing labs then. It is like trying to make sense of your lipids when your losing weight........it is not wise. I thought running some baseline labs (which are suggested in Epi Paleo RX like thyroid, bun creatinine ratio, vit D, dhea-s) is a step to do, once in a stable good environment, in order to dail in and look further? I understand not needing to make sense of your lipids if you are successfully loosing weight...no need, success is being acheived...But what if there ISN'T success happening? how many hours have you been in the water during these 11 weeks? 77 days.. 77 hrs? or 300? @Jack Kruse Just circling back here since you still haven't actually concretely answered my question about my lab results. I've been living in the Yucatan Peninsula, Mexico for almost 4 months now. Prior to that, I got rid of all my stuff in the states, left where I had lived all my life and where my family is, and came here...turning my world upside down to conquer my health issues and recover....Clearly, I have "skin in the game", I'm not looking to waste time and I also just upgraded to Gold. As a paying member (which finances are a huge burden from my health issues and transition, so even membership payments are a struggle) and also I've paid for 2 consults with you in the past, I feel that an actual answer to my question is definitely warranted. I imagine you may remember my situation and issues from our 2 calls, perhaps not. So, I'm coming back to my question here again. I'd appreciate an answer to my question of "What can be derived from my lab results?" Thanks in advance and we are all in this together, through it all! Phosphene, Tom Carrigan and Annie Dru like this. You must get your FreeT3 up to the top laboratory range value or even slightly above it. sometimes up to 5 grains may be need. You can do that in any place on the world. Hi @JanSz . THanks for your reply! I'm trying to source brazil nuts for food source selenium --- not easy here! Lugols -- Over the past 2 months, I've been working up to 8 drops in the morning first thing, but now I need to source more. NTH --- from others' searches, hadn't been able to find it here but still some searching to do! but who knows how much. Have you tested your environment with a meter? I am not sure which Haplotype you are and what Dr Kruse would said, however are you getting enough sun on your GUT, Thyroid, ... full body? and how long? Have you had your deuterium level measured? Regarding dietary or supplemental recommendation, the information provided is not enough to gear you toward a complete picture. Low CD57 could be link to a chronic physiological impairment - suggesting it will take time to result it. Ironically, I had a Dutch test kit (full cycle mapping) to do before I left for Mexico, but the timing wouldn't allow me to do the 30 days needed and I was moving around so I knew I couldn't confidently keep the sticks drying out consistently. I had left it in Texas and ended up selling it because I needed the $. @DrStephane Thanks for your response. I only have a enviro10 here and I test where I am, but to what is possible with relocating around Mexico and to where I can afford to stay. I have not been able to be in the same place for more than several weeks at a time...I have this sun time here several hours a day, tan thru bikini so yes on thyroid and gut. Yes, it is from your NutrEval. Are you now feeling better or worst since that test?